History & Definitions of Malpractice Settlements | Legal advice for people affected by dental & medical malpractice. No one likes to be a victim. This includes individuals who may have been injured or harmed due to medical situations. You become a victim of medical malpractice when you encounter certain medical misconduct. doctors and dragging them into court over shoddy damage claims. This isn’t the situation. From the perspective of the insurance companies and physicians, these settlements and payouts are taking their toll on the medical community and require legislative action. Medical negligence claims actually account for only about 0.3 percent of healthcare costs, and are necessary for protecting and compensating patients who have suffered harm because of medical malpractice and negligence. When a medical professional commits an action that harms or injures a patient, this is a situation where the medical professional is guilty of malpractice. Individuals in the medical community, in order to protect themselves, purchase malpractice liability insurance. Ninety-six percent of these cases settle out-of-court with attorneys computing a reasonable monetary settlement. Large insurance companies usually choose to settle their cases out of court when they have the opportunity. This saves the money they would have to spend on their legal fees. These settlements are frequently a lesser amount than going through legal proceedings. Claimants usually receive a settlement out of court of approximately $125,000. In comparison, a jury trial may award $235,000. Since medical malpractice lawsuits are challenging to win, you must be armed and ready to present the most powerful evidence to prove your case. The largest boost to your case is an experienced and knowledgeable law team to support your position. 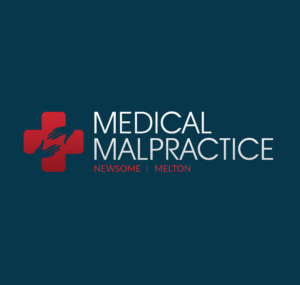 With medical malpractice issues, it is imperative to have an advocate who is familiar with medical malpractice situations. Hiring a legal expert to be a crusader for your cause increases the chances of winning in court. Some patients live in states that limit the amount of money awarded in medical malpractice lawsuits. It is best to check the current circumstances in your state. Many states are in the middle of revising the cap on monetary awards. In some situations, the parties involved have negotiated a settlement without ever attending a courtroom. In these situations, the injured parties receive comfortable awards. Settling outside the courtroom lowers the time spent on litigation, and many states allow arbitration to conclude these cases. You are much more likely to receive compensation for your injuries if you settle out of court. Individuals have their own opinions about whom medical malpractice cases should favor. Doctors and insurance companies maintain the justice system is bias in favor of the patient, resulting in unfair medical malpractice trends. However, solid research and evidence prove this is not the situation. Over the last 20 years, settlement award amounts have remained static with a dip in amounts from 2001-2004. Malpractice settlements have not skyrocketed in recent years. Another trend comes from the 1990s and early 2000s. At that time, multi-million dollar settlements fell by 50 percent. Fairness seemed to be en vogue at that time and awards appeared to fairly match the amount of the injury and damages. As these payout trends for medical malpractice drop in frequency, the amount of preventable medical errors rises. One-in-seven Medicare patients experiences a medical error. More than 90,000 patients die because of these preventable errors, and the cost to the healthcare system runs from $17 to $29 billion annually.